From Graham Moore, the Oscar-winning screenwriter of The Imitation Game and New York Times best-selling author of The Sherlockian, comes a thrilling novel - based on actual events - about the nature of genius, the cost of ambition, and the battle to electrify America. New York, 1888. Gas lamps still flicker in the city streets, but the miracle of electric light is in its infancy. The person who controls the means to turn night into day will make history - and a vast fortune. A young untested lawyer named Paul Cravath, fresh out of Columbia Law School, takes a case that seems impossible to win. Paul's client, George Westinghouse, has been sued by Thomas Edison over a billion-dollar question: Who invented the lightbulb and holds the right to power the country? The case affords Paul entry to the heady world of high society - the glittering parties in Gramercy Park mansions and the more insidious dealings done behind closed doors. The task facing him is beyond daunting. Edison is a wily, dangerous opponent with vast resources at his disposal - private spies, newspapers in his pocket, and the backing of J. P. Morgan himself. Yet this unknown lawyer shares with his famous adversary a compulsion to win at all costs. How will he do it? 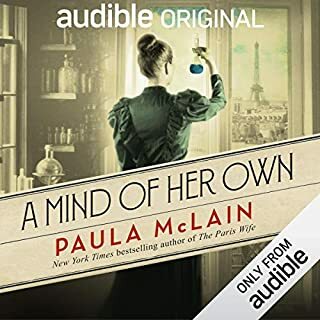 In obsessive pursuit of victory, Paul crosses paths with Nikola Tesla, an eccentric, brilliant inventor who may hold the key to defeating Edison, and with Agnes Huntington, a beautiful opera singer who proves to be a flawless performer onstage and off. As Paul takes greater and greater risks, he'll find that all in his path are playing their own games, and none are quite who they seem. I truly loved this book. Not knowing much about the patent wars between Edison, Westinghouse and Tesla it opened up my mind to a fascinating chapter in history. While this is historical fiction I appreciated the fact that the author tells us what was truth and what was changed in each chapter. The book enouraged me to learn more about the time, the patent wars and to learn about Tesla - quite an unusual character! Narration was wonderful. If you only listen to one book this year, make it this one! You will not be sorry. 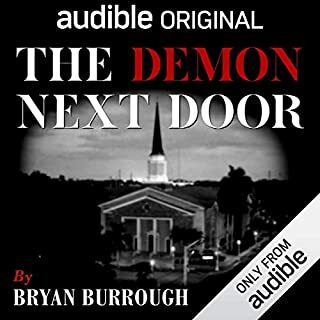 Compelling story-telling, well delivered in audio! 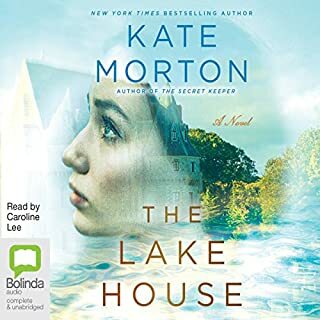 I'm not much of a history buff, which lends great support to Moore's rendering significant pieces of history into a page turning (audio equivalent) novel. Fascinating dip into the world of lawyers, scientists and businessmen. Transcends it's point in time in history. I was very pleased Moore included a final chapter clarifying what facts he wove into this telling. It was so engaging I began Googling bits halfway through, attempting to sleuth out fact from fiction. So thank you, Mr. Moore, for saving me the trouble. We'll done indeed! Excellent Piece of Historical Fiction! Who on earth would think a novel about the patent war between George Westinghouse and Thomas Edison could be remotely interesting? Odd as it may seem, it is entirely interesting and the author tells a most engaging story. I was riveted from the opening page and couldn't wait to get to the next chapter. Mr. Moore is a natural storyteller -- the fact that he can take a subject as dry as this and create a compelling tale featuring larger-than-life real individuals is a testament to his craft as a novelist. Besides the patent war, the author recounts how the attorney created what is now known as the modern law partnership, featuring associates who work hard and rise to full-fledged partners. Oh, and there's also the introduction of that electrical genius, Nikola Tesla, and we get to see him at his mad-scientist best. 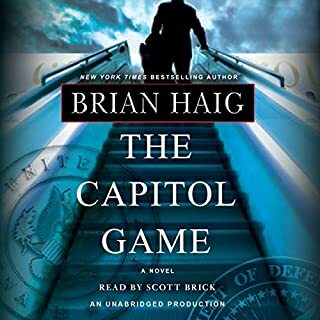 The narrator did a great job but...I wish he had been able to change the tenor of the voices somewhat. I often got the male characters mixed up because they sounded so much alike. What makes a book great? Is it its characters, dialogue, plot, humor, drama? In most cases I would say the characters because relationships best suit my personality. But here is an historical novel about the war over the light bulb featuring 3 great inventors, Edison, Westinghouse and Tesler, told through the eyes of a young attorney. To be sure the characters are as fascinating here as they were in real life. But what makes this novel so intriguing to me is its appeal to my curiosity. I have been scouring historical journals and reading all I can to learn more about these men and others in their age of invention. Alexander Bell plays a small, but key role in the story as well. Graham Moore's account of Bell was so charasmatic that I am drawn to read of him soon. 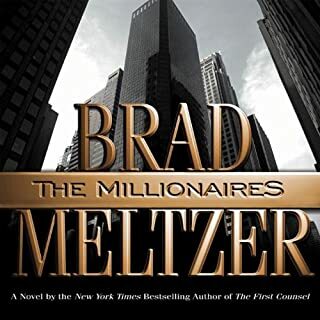 The main character is Paul Kravath, a 27 year old attorney, just 17 months out of Columbia Law School. In real life, as in the novel, he is hired to represent George Westinghouse to defend his company from over 300 lawsuits filed by Thomas Edison for patent infringements over the light bulb. Much is at stake, not the least of which is who will bring electrical power to the entire United States. Within the suit, the quest for harnessing and distributing power, and the business acumen and ethics of those involved lie real mysteries and much intrigue. Certainly as much as any good mystery novel. If its history doesn't interest you, the suspense and drama certainly will entertain. It is well read by Johnathan McClain. Wow! this was a GREAT listen! It is a wonderful collage of fact woven with just enough fiction to create a mesmerizing story that takes place at the turn of the century -- just when technological inventions by Edison, Westinghouse, Buckminster Fuller and others were peaking. The major issues at play are the invention (perfection) of the light bulb and the introduction of AC electricity (as opposed to DC.) Which will the world adopt? Which is safest? Which inventor(s) will profit from this adoption? The story revolves around the conflict(s) between Edison, Westinghouse and Nikoli Tesla. Young lawyer Paul Cravath (who ultimately founded NYC based mega-firm Cravath, Swain and Moore) is tasked with arbitrating the disputes and in the process, creates the template for today's law firm structures, where associates do the work under the auspices of a partner. There is quite a lot of crafty, inventive legal work within the action. What makes this production of the book even better is the author's insertion of quotes by more contemporary technological gurus (Steve Jobs, Bill Gates, etc.) at the beginning of most new chapters that relate very closely to the events that transpired 100 years ago. The narration is superb, the story line one that will keep you listening. 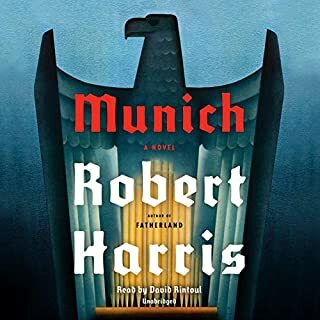 Be certain to listen to the author's notes at the end of the book where he clearly discusses the "fiction" he added to historical fact in order to create this novel. Great listen! Highly recommended for all lovers of good historical fiction. Best book for me in a long time. Tells the story of the fascinating War of Currents through the eyes of Westinghouse's lawyer. The story covers not only the birth of electricity, but the early years of U.S. patent law, and how inventions birthed big business and all they comes with it. The performance was incredible, as I listened I visualized every single aspect of what was being read from the first to the last page. What a joy of a book! 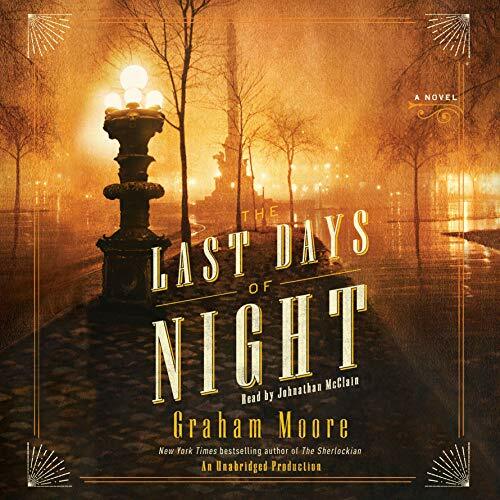 Where does The Last Days of Night rank among all the audiobooks you’ve listened to so far? It's in the top twenty percent. It has all the major requirements of a great book. Thomas Edison and George Westinghouse are men who dominate their industries by force, as with Tom Edison, and with stick-tuitiveness, exemplified by Mr. Westinghouse. And our hero, the young lawyer Paul Cravath, attempts to mediate between these two giants, while simultaneously shielding the brilliant electrical engineer Nicola Tesla, a truly eccentric man. All the forces of a drama that grabs you are there, and the story is very well told. What was one of the most memorable moments of The Last Days of Night? I think that the fire which is clearly started by the fiery experiments of Mr. Tesla gone up in smoke is one of the best scenes in the book. No one understands how this happened, least of all Mr. Tesla. They believe that some workers on the roof accidentally started it. I am no fire investigator, but, I do know that fire travels up at the beginning of the fire, and then travels down when the fire runs out of material at the top of the building. Tesla is such a gentle, awkward genius, that one just does not want him to have accidents that kill people. The opening scene of a wire worker putting both hands on two wires, and thus completing the circuit which will promptly fry him: this surely gets your attention. Have you listened to any of Johnathan McClain’s other performances before? How does this one compare? No I haven't, so I can't compare him to any other narrators. He certainly does a fine job here. The kid-glove gentility in which the Paul-and-Agnes relationship is told, reveals some of the depth of Mr. McClain's skills. One keeps rooting for them. They both lead lonely lives, despite the fact that Agnes has been forcefully pushed to New York stardom and celebrity status, while Paul comes to New York with a Tennessee background, and a cool, distant father. Mr. McClain is quite able to communicate the many unsaid words that pass between the couple. You care enough about these (fictional) people to actually want them to be happy, and together. Very sweet, and a nice contrast to the vicious fighting that Edison and Westinghouse engage in every day. No. I liked it enough to recommend it to most Audible readers. I don't say that too often, as many of the books that I review are thrillers, and I know that many readers, particularly women (sorry, sorry for my un-PC remark) just don't like them. My wife doesn't even like to see thrillers in the movie theaters at night: she says that the movies give her the creeps. Nope. I can't imagine that Mr. Moore has another book that is anything similar to this one, but I promise him and you that I will keep me eyes out for it. This man can write. Count on it. Compelling and fascinating piece of Americana. I didn't dislike anything and was sorry when the book ended. Superbly researched historical fiction full of mythologized characters come to life, and like all gods, flawed in their brilliance. New York City is a character in its own right and the cultural generator energizing this piece of history. Could this scientific revolution have occurred elsewhere? Maybe. But it's doubtful. Each narrative sentence ends in a downward note. It’s all done so matter of fact. Maybe people like this, but it became off putting very fast. Voices are well done though, accents, phraseology of dialogue, etc. This was a terrific book based on the topic and its ability to flesh out a time period and characters not well known to us except by name and reputation. The author made the connections to this era and the great change agents in technology from our time which added another dimension. I wouldn't say this was the best written book around, but it was so interesting to learn about the machinations going on around things we now take for granted, I would recommend this book to anybody. You certainly don't need any special knowledge or even an interest in technology or science to enjoy it. I'll have to let others say how it reads if one does have a background in that area.